A new application called Seedio has arrived on the Apple iTunes App Store which has been created to enable you to combine multiple smartphones together linking to make one massive speaker. Seedio will support up to 150 devices and works across iOS devices, allowing you to combine both iPad, iPod and iPhone speakers together. But remember you will need a version of Seedio on each device to create a link for the speaker. 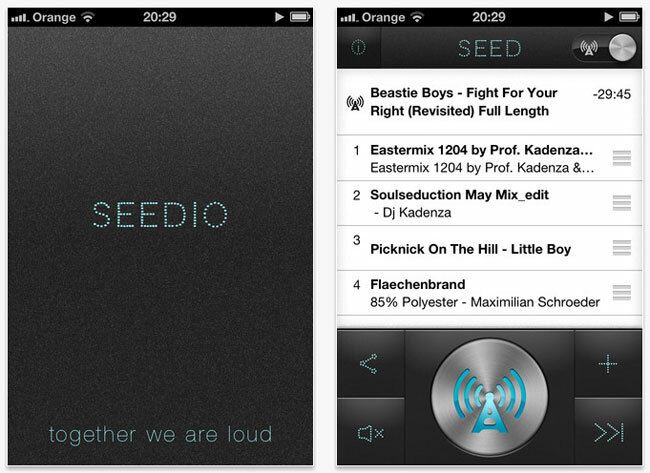 The Seedio app works by allowing one device to become the seeder and host for the music, which it then transmits via Wi-fi to the other iOS receiver devices. Jakob Schmidt explained to the WebStandard “The biggest challenge was to Provide synchrony between the devices without interruptions,”. Seedio is currently free for a limited time over in the iTunes App Store, so don’t delay. You will also need iOS 4.2 or higher installed.